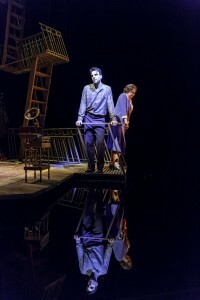 Tennessee Williams’s iconic The Glass Menagerie has been rejuvenated in a magical production now playing at the Booth Theatre starring Cherry Jones, Zachary Quinto, Celia Keenan-Bolger, and Brian J. Smith. This American theatre staple tells the story of Tom Wingfield, a writer trapped in a warehouse job who, at the request of his mother Amanda, brings a gentleman caller home to meet his shy and crippled sister Laura. Although Tennessee Williams is known as one of America’s great realist playwrights, he referred to The Glass Menagerie – both in the play’s dialogue as well as in his production notes in the script – as a memory play. As Tom states in the opening monologue, “the play is memory,” and Williams expands on this when he writes, “Memory takes a lot of poetic license. It omits some details; others are exaggerated, according to the emotional value of the articles it touches, for memory is seated predominantly in the heart.” In this gorgeous production, Tony Award-winning director John Tiffany releases the play from many of the tired trappings of the conventional realistic approach that most productions bring to the material by focusing his production more on the heartfelt emotions associated with the memories that haunt. This unique approach is embodied in the work of the entire design team, starting with the vision of director John Tiffany, who won a Tony Award for heading the creative team for the Broadway production of Once, many of whom also lent their talents to designing this revelatory production. Movement director Steven Hoggett creates a dreamlike atmosphere with his blocking, and Nico Muhly’s critical original music transports the production’s depicting of memory into the realm of the ephemeral. Bob Crowley’s setdesign removes the play from the world of conventional reality and places it firmly in the world of memory. The set consists of three wooden platforms floating in a pool of black liquid, surrounded by a black expanse that evokes the ethereal quality of our most emotional memories materializing out of the abyss. Each scene feels like one of these memories bubbling to the surface of Tom’s psyche. Crowley’s work gives the impression that Tom is now far removed from the lost world of his childhood, and the play may just be the recollections of a Merchant Marine as he looks out and sees yet again those final scenes with his mother and sister floating amongst the stars reflected off the surface of the dark water all around. Amanda and Laura are the jetsam that he has tossed off the ship of his life long ago, the causalities and responsibilities he ran away from that will nevertheless haunt his memories forever. This production will also beautifully haunt you for years to come, largely due to the uniformly excellent cast. In the central role of Tom, Zachary Quinto – who has proven an up-and-coming force in film and television, most notably as Spock in the recentStar Trek films – gives a performance that truly conveys just how much these memories haunt his character. 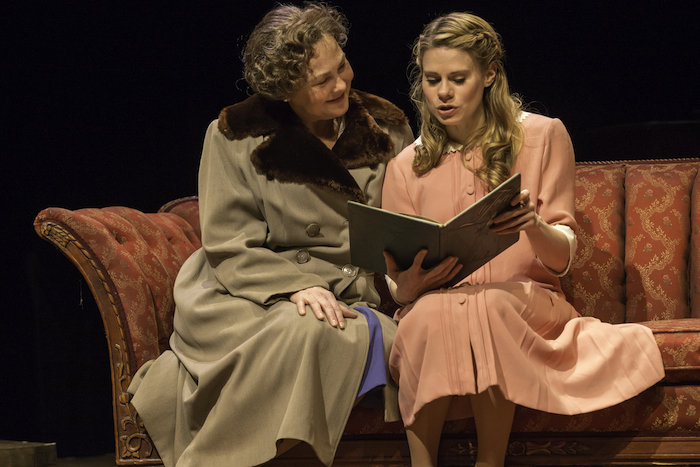 Playing one of the most iconic roles in the American theatre canon, two-time Tony Award-winner Cherry Jones (Doubt, The Heiress) finds new humanity in the matriarchal Amanda, transforming the character into one that all caring mothers can relate to. 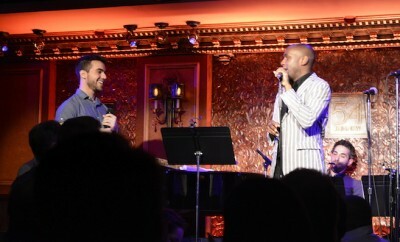 Two-time Tony nominee Celia Keenan Bolger (The 25th Annual Putnam County Spelling Bee, Peter and the Starcatcher) as the fragile Laura and Brian J. Smith as the vital Gentleman Caller bring new dimensions to their roles, and their classic scene together in Act 2 may be the most beautifully rendered version of the scene in Broadway history. 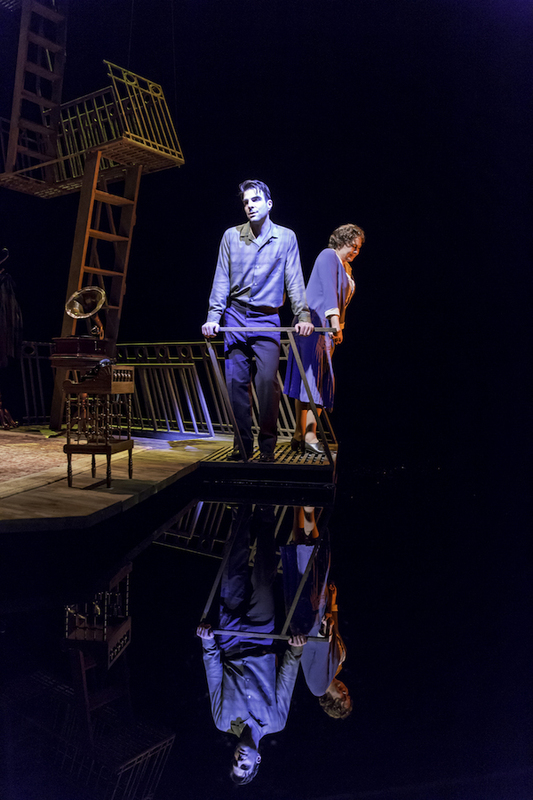 Simply put, this is must-see production of The Glass Menagerie, one that will redefine how you understand and enjoy this masterpiece. Buy your tickets now, or forever be haunted by the memory of missing this once-in-a-lifetime experience. Quiz – Which UNFORGIVABLE Audition Holding Room Sin Are You?